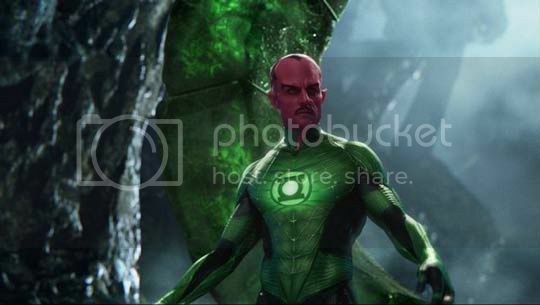 Sinestro's Look In The Green Lantern Movie - Can't Wait For His Corps! If for some reason you're not excited about the upcoming Green Lantern Movie (God Forbid), you're gonna have to be ready for the hordes of geeks trying to put the word "lame" on your forehead. Yeah I know I'm horribly into the green rings and the glowing costumes. Now imagine how happy I was when I saw that Sinestro's movie adaptation is spot on! Yup, I used "spot on" in a sentence dear reader, let's move along now. is sinestro really a green lantern? isn't he with the yellow lantern corps? SOrry, I don't know much about the green lanterns. Oh and how come there are all color of lanterns? Where do they get their lanterns and their powers? Sorry for too many questions hehe. Sinestro used to be a Green Lanter but turned bad so he used the Yellow Light to make the Yellow Lanterns. Think Darth Vader style stuff. Each lantern color represents an emotion of some sort based on the color spectrum. It'll be too long to explain here so just go ahead and check wikipedia for more detials.